A new team, Kali Motorsport, will debut in the Dunlop Super2 Series in Townsville. Run by former Ute racer Gerard McLeod, the team is owned by Lucas Dumbrell, who sold his stake in 23Red Racing earlier this year. Dumbrell kept the three Triple Eight-built Holdens raced by his Lucas Dumbrell Motorsport outfit when the squad morphed into 23Red at the start of 2018. One is currently racing in Super2 under lease to Matt Chahda, while the other two are being prepared in Dumbrell’s Carrum Downs factory by McLeod for the new Kali team. 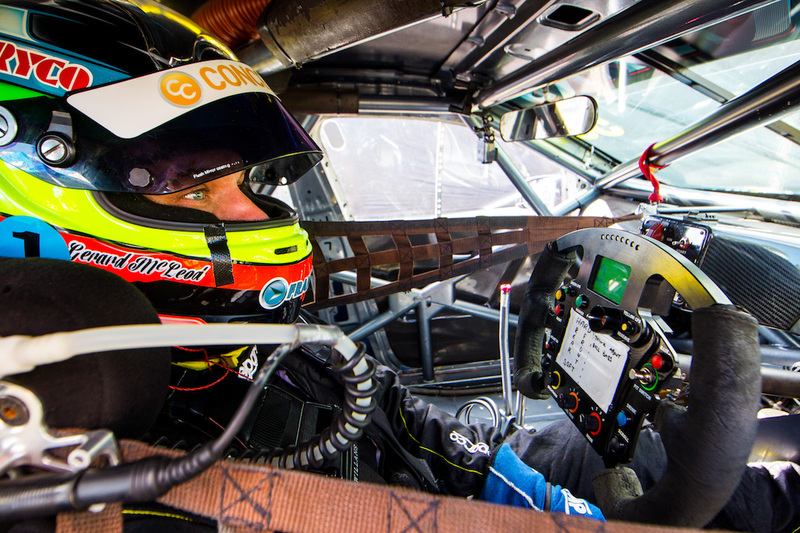 A former LDM mechanic, McLeod – the son of 1987 Bathurst winner Peter - will be behind the wheel of a single entry in Townsville, making his second career Super2 start. He raced Chahda’s previous-generation Ford Falcon FG at the Townsville event last year, and has again garnered support from Sherrif Electrical for the North Queensland event. McLeod, 34, will race the car driven in last year’s main series by Alex Rullo, which took out the 2016 Adelaide 500 with Nick Percat at the wheel. “Last year was a very last-minute deal that came together literally within a week, we struggled with not having a test day and we had troubles with the car all weekend,” said McLeod. “This year we are fully prepared with a car that is current-spec and ready to go, so I can’t wait to have another crack in the series and see what results we can achieve. “We have a dedicated test day planned at Winton [next Tuesday], so I’m sure I will find my feet pretty quickly. McLeod is also hoping to drive in the 250km Bathurst Super2 race in October, but is on the lookout for young talent to take over the seat, as well as fill a potential second entry. “The second car will be ready before Bathurst,” he said. “We are currently speaking to a couple of young rookie drivers from F4 and the Toyota 86 series about entering the final couple of rounds. “For me, I’ve always wanted to race in the 1000, but that’s not going to happen, so the 250km Super2 race is probably the ultimate for me.